Take advantage of this rare opportunity to own a Montreal West Island Family Practice. 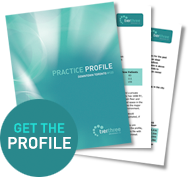 The practice has seen over 2,300 patients over the past 24 months and has a strong recall program with 2 full time hygienists. The practice is very well-established, having been at the current location, in a busy strip mall on a main thoroughfare, for over 30 years. The 1,800 square foot facility includes 5 equipped ops, space plumbed and wired for a 6th, plus a private office, consult room and staff room. In addition to the two hygienists and the owner, there are two part-time general dentists, each working one day a week and a part time periodontist that complete the dental team. The owner is willing to stay on at a reduced schedule for up to 2 years to provide an excellent transition to the new owner.